SKU: 1663669221. Category: Flashlights & Torches. Tag: Emergency Flashlight. –Great Gift! Emergency Radio, Environment-Friendly, Cordless, Solar Rechargeable Desk Lamp and Personal Security System that Never Needs Batteries. 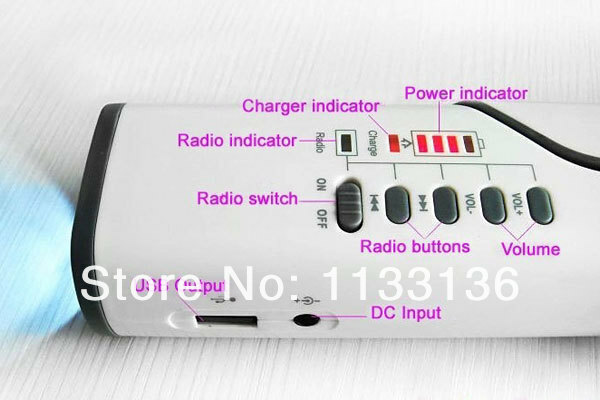 It Also has a Dynamo Hand Crank for times when Direct Sunlight is Not Available.And a Third Option is to Charge the Unit via Computer with the USB Cable (Included). The Ultra-Bright Lights are Guaranteed to Last 3 Years as They Have a Life of More than 10,000 Hours. Projects that Require Exceptional Lighting. 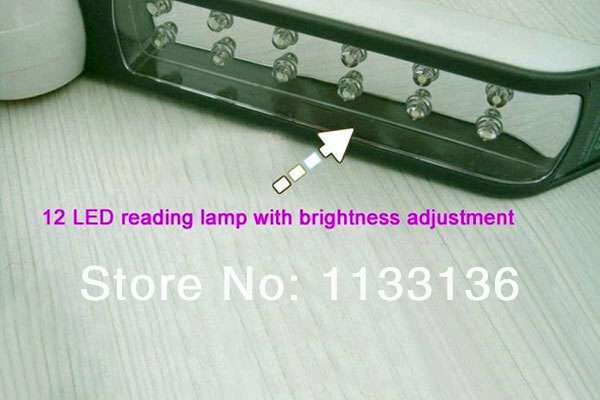 These Super-Bright LED Lights Provide a Pure White Glow that Can Fill up a Room. PowerSafe Seem Only to be Limited by One’s Own Creativity. Scare it So Bad that it Never Visits Your Garbage Again! Does a Desk Lamp Qualify as a LifeTool? The Emergency Radio Can Provide a Source for Weather Updates when Camping and Hiking. Gift-Guessers Can’t Tell What it is. Does Your LED Desk Lamp Just Sit There Doing Nothing Most of the Time? Not Anymore! The PowerSafe LifeTool is a cordless, rechargeable solar emergency radio useful in any environment. It is fully portable. so you can take it where ever you go. Use it at home, the office, dorm room, and even just walking through a dark parking lot at night. LED Light Options: The PowerSafe has 12 ultra-bright LED lights recessed into the flip-out arm of the tool. and other desk top work. The switch is a dial so you can choose any brightness level. – On a weekend in a half-deserted dorm room a simple flip of a switch can chase a would-be intruder away. – Walking to your car after work can be easier with your personal alarm. – Hiking through the wilderness, twist an ankle and cannot walk. The siren alerts others from the next ridge over. – Your mother slips in her apartment and can’t get up…well, you get the picture. Jobsite Radio & More: Weather updates, listen to favorite music, charge mobile devices, floodlight to change a tire or check under the hood, a USB cable and port to charge the unit by computer and a hand crank dynamo for absence of sunlight. Click the Buy Button to Get Yours Today! 1. We accept Paypal, West Union, TT.All major credit cards are accepted through secure payment processor ESCROW. 3. TOTAL AMOUNT DUE includes the final auction price plus S&H (Shipping and Handling).S&H will be determined based upon the SHIP TO address. you the tracking number immediately after the delivery. (regarding labeling, packing, declarations, invoices, etc.) in the comments field during checkout. we are more than happy to follow your instructions. logistic company to recover the cost of damage or loss.